Your mother and grandmother were wrong. 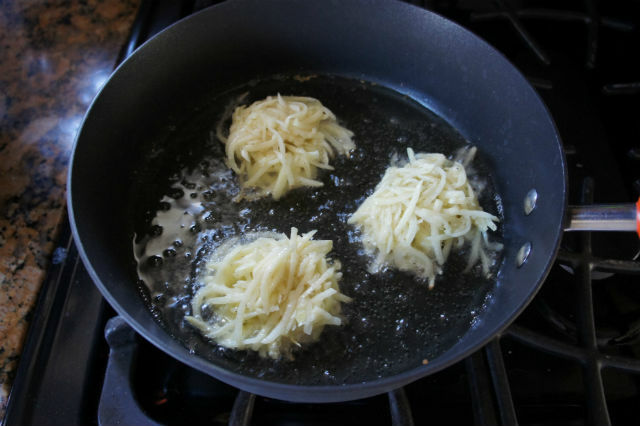 Generations of Jewish mothers have taught us that when making latkes, you must wring out as much liquid as possible after grating the potatoes in order to make great latkes. So after mixing the grated potatoes, onion, egg and matzah meal, we get to squeezing. Then we squeeze some more. And then right before frying, we squeeze one last time for good measure. But what if I told you all those generations of moms and bubbes were wrong? Sit down before you hurt yourself and just listen. Last year I had the great fortune to spend a morning frying up latkes with Michelin-star chef Bill Telepan of NYC’s famous Telepan restaurant. And while frying, he gave me a few of his secrets, which included, not squeezing out all the liquid. I was skeptical, but hey I don’t own a Michelin star rated restaurant, so I went home to test out his method and recipe, which also included a high ratio of onion to potato. And lo and behold, the chef is right. 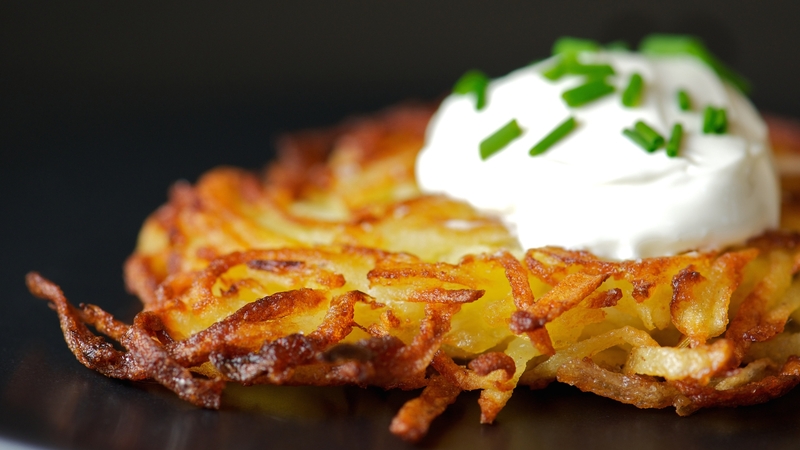 If you leave some of that starchy liquid in the mix, you will be amazed how creamy and moist your latkes will turn out. 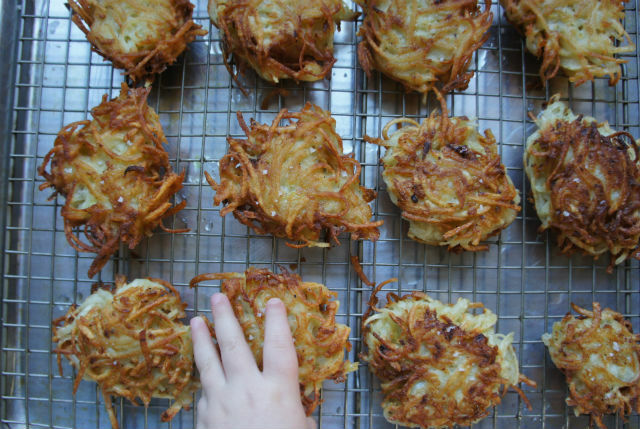 Even my father, an excellent latke-maker, was impressed. So yes, you should still squeeze out some of the liquid, but don’t kill yourself wringing it all out. Still skeptical? Give it a try and let us know what you think. These delicious pancakes celebrate the miracle of the oil — but potatoes are a relatively newfangled tradition.